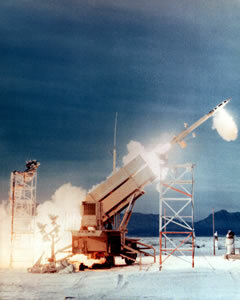 The ‘hit-to-kill’ PAC-3 Missile is the world’s most advanced, capable and powerful theater air defense missile. It defeats the entire threat to the Patriot Air Defense System: tactical ballistic missiles (TBMs) carrying weapons of mass destruction, advanced cruise missiles and aircraft. 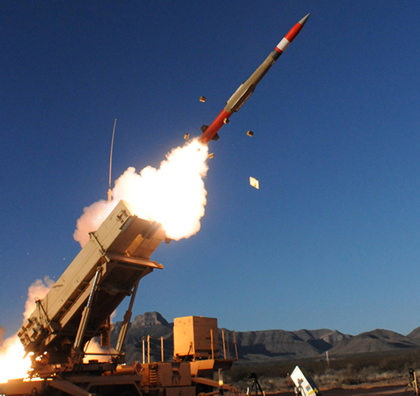 PAC-3 Missiles significantly increase the Patriot system’s firepower, since 16 PAC-3s load-out on a Patriot launcher, compared with four of the older Patriot PAC-2 missiles. The PAC-3 Missile Segment upgrade to the Patriot air defense system consists of the PAC-3 Missile agile hit-to-kill interceptor, the PAC-3 Missile canisters (in four packs), a Fire Solution Computer and an Enhanced Launcher Electronics System. These elements are being integrated into the Patriot augmenting its high to medium altitude, long- range air defense capability. The PAC-3 Missile has been selected as the primary interceptor for the multi-national Medium Extended Air Defense System (MEADS). Managed by the NATO MEADS Management Agency, Current MEADS development focus on risk reduction, application of key technologies and validation of a system design incorporating the PAC-3 Missile as the prime interceptor. 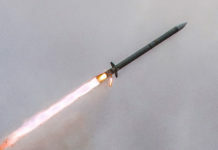 During recent tests, conducted in September and November 2004 at White Sands test range, PAC-3 missiles engaged multiple targets, both short, long range and cruise missiles, with “ripple fire” attacks. 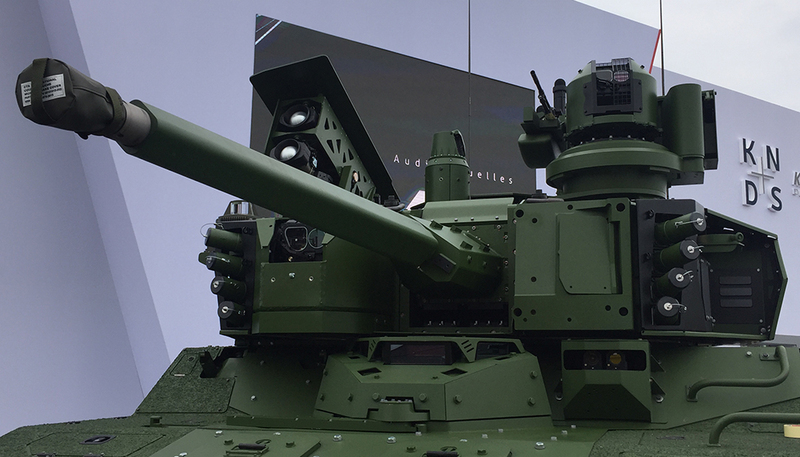 In the most recent test, four PAC-3s were “ripple-fired” at two incoming targets. All targets were destroyed by the first missile. Test objectives included demonstrating the system’s ability to detect, track and engage a TBM and cruise missile simultaneously, and validating the performance of several components of the PAC-3 Missile that were part of on- going cost reduction initiatives. These include an Advanced Master Frequency Generator (AMFG), Multi-Band Radio Frequency Data Link (MRFDL) and a Simplified Inertial Measurement Unit (SIMU). 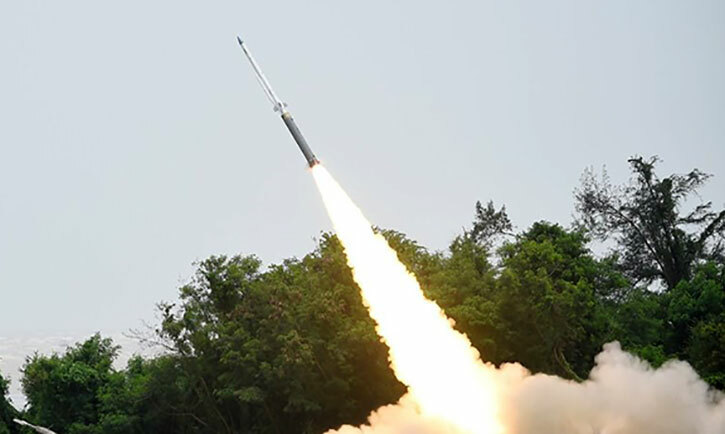 In the second test, the PAC-3 system received tracking information from THAAD system radar. During Operation Iraqi Freedom (OIF) March-April 2003, a mix of PAC-3 missile interceptors and PAC-2 air defense missiles destroyed a series of short range ballistic missiles fired by Iraq, failed to engage and intercept several cruise missiles fired on Kuwait City from Iraqi coastal missile batteries. A possible future complement to the Patriot is the Low Cost Interceptor (LCI), 10 inch diameter single-stage missile, designed to intercept and destroy cruise missiles and UAVs. The booster will loft the missile to high altitude and then the missile will use gravity to increase its speed before an intercept. September 8, 2006: The Government of Germany has requested a possible sale of 72 PAC-3 Cost Reduction Initiative (CRI) missiles, plus 12 each Missile Round Trainers, and their logistical support. Germany has already fielded Patriots with 32 fire units in four air defense wings. However, according to current plans, the number of active units will decline to 24. The new missiles are expected to enhance remaining squadrons. The estimated cost is $298 million.